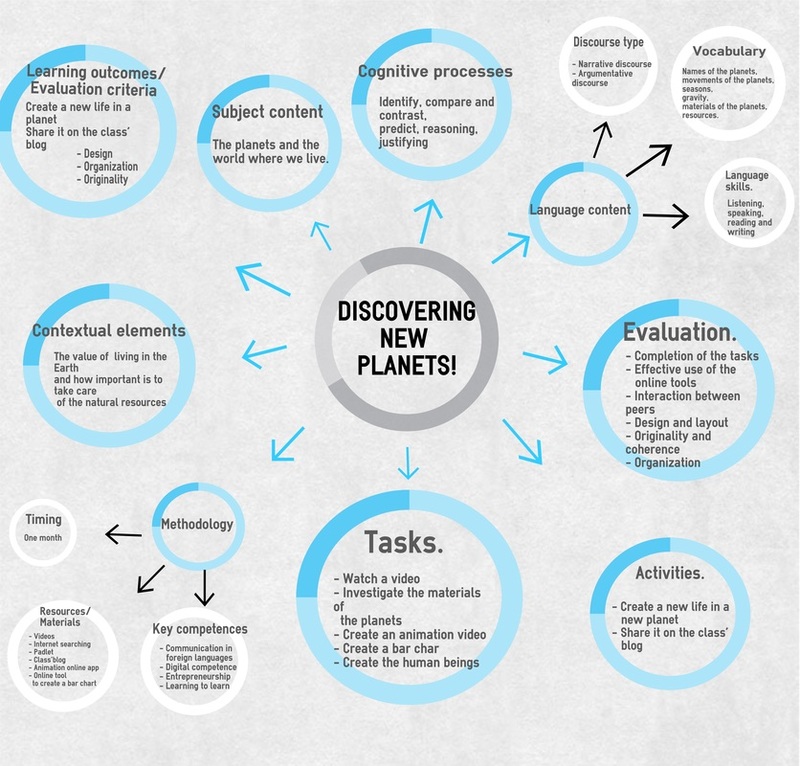 For teachers - Discovering new planets! Welcome to my E-publication called Discovering new planets! This E-publication is intended to fifth graders of Primary Education but, as a teacher, you can adapt it to any stage and kind of student. You will find here a lot of information as well as activities to do with your students using online tools. The content we are going to study in this project is the planets and their characteristics: Its movements, materials, dimensions, gravity, climate and living beings. Have also a look to the eBook evaluation that I did before start creating my own E-publication. I used Tackk to do it, a very intuitive tool to create one-page websites. What do you think about these two eBooks? I would like to share with you the ICT's learning journey that I had the opportunity to have at the module of ICT at the Bilingual Master's Degree of the URJC. Here you can see all the tasks that we have done during the semester and the tools that I use in order to accomplish this tasks. This time, I used VoiceThread. I really like this tool because you can really change a regular presentation just by adding voice.